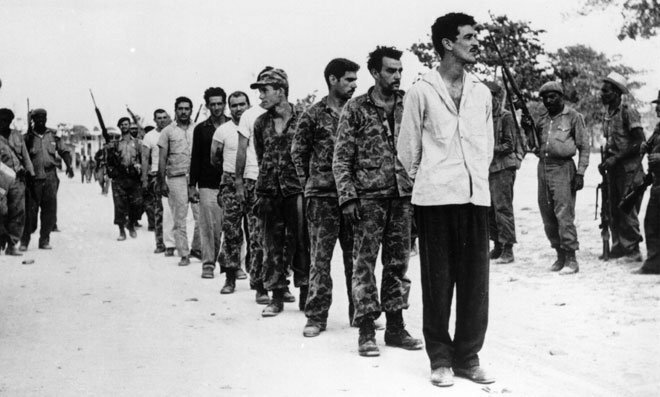 Today Judge Gladys Kessler of the DC District Court decided the Central Intelligence Agency can withhold a volume of its history about the 1961 Bay of Pigs debacle as “predecisional” because the Agency “does not want to discourage disagreement… among its historians.” The CIA had previously argued to the court that the history could “confuse the public” and should therefore remain withheld under the b(5) exemption. He’s right. Judge Kessler’s ruling is a clear setback for those who believe that they should be able to know what their government has done in their name but without their knowledge. By accepting the CIA’s (and Department of Justice’s) arguments, the court has expanded the veil of government secrecy to include any document which any agency claims is out of line with its official story. But she offered little rebuke and no penalty for this common Agency practice. In her opinion, Kessler restates the CIA’s assertion that the release of this history would actually harm the public by confusing it. She asserts: “Disclosure of a draft history would risk public release of inaccurate historical information.” Thank you, Judge Kessler, for protecting us from confusing ourselves. The obvious problem with this logic is that the author of this document –CIA Historian Dr. Jack Pfeiffer– was actually eager to present these “views, theories and critiques” to his superiors… and also to have them released to the public. He was so eager, in fact, he brought a FOIA lawsuit for this history’s release in 1987. I doubt that that Agency historians are holed up in the depths of Langley, cowering in fear over the proposition that someday their histories could actually be read by interested Americans. In actuality, the Agency (represented by the Department of Justice) is not interested in protecting the deliberative process of its historians; it is interested in preventing “unpopular” or “unorthodox” opinions from reaching the public. It’s not clear why DOJ attorneys would agree to argue this case for the CIA, especially after Attorney General Eric Holder sent a government-wide memo which promised to defend denials of FOIA requests only when disclosures would truly harm agency interests. What is more clear is the reason why many agencies have failed to implement the Obama FOIA reforms –the Department of Justice has done a poor job implementing them within its own divisions, and the DOJ Office of Information Policy has done a poorer job forcing other agencies to comply with the law. * Even Presidential predecisional documents –actual working documents that decide actual policies, not histories– are barred from being withheld under “predecisional pretenses” after a period of time. The Presidential Records Act expressly states that exemption b(5) cannot be invoked to withhold records once the president has been out of office twelve years. If presidential communication and work process is not threatened by this provision, there is no reason that the CIA’s history staff should be. * At a minimum Judge Kessler should have ordered the CIA to release a segregable copy of the document that redacted predecisional opinions, but left sentences which were purely factual. (See Paisley v. CIA) Last time I checked, histories have lots of those. * The Archive’s lawsuit did succeed in releasing three volumes of the five volume history. One volume was released by the JFK Assassination Records Review Board. Read them here. * Using Judge Kessler’s logic, the recently released Zelikow Memo, which criticized the use of torture by the Bush administration, could have been withheld as a predecisional document. It had a stamp saying “draft” at its top. Great piece; terrible horrible very bad decision. The Justice Department should no longer be permitted to serve as the final arbiter in FOIA cases! We need an independent institution such as the Mexican Federal Institute for Access to Information to oversee transparency disputes like this one. Could it be that they are just covering up some nasty, dirty, BIG secrets about people still living today? So who was in charge of and who was affiliated with the Cuban sharpshooters? Could it have been George Herbert Walker Bush? Who was that handsome tall fellow outside the Texas schoolbook depository that dark day in 1963?